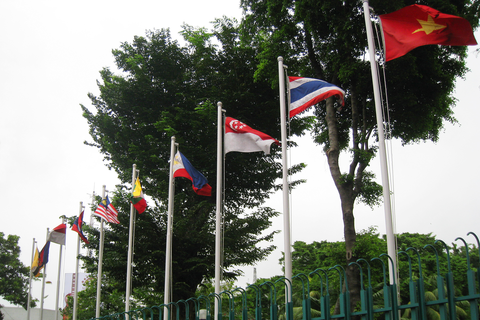 By 2015, Southeast Asia will have started operating as a single market and production base. It will open our local market to the rest in the region. Should this be considered as an opportunity or as a threat especially by micro, small, and medium enterprises (MSMEs)? Everybody knows that Southeast Asia will soon have a single market and production base come 2015, as ASEAN nations lift tariff and non-tariff barriers in light of the coming ASEAN Economic Integration. Should MSME owners like me be happy, or should we be worried about this? I’m glad that there are MSME owners like you who are showing concern about the impending ASEAN Integration. Sadly, a lot of people in the community still wrongly believe that the upcoming integration will only affect big conglomerates. Anyway, let’s identify the effects of consolidating trade in this region; we’d be exposed to 600 million consumers, duty-free imports, an open labor market, and tougher competition. Given how these implications seem skewed in favor of the big guys, I’d say yes, MSMEs should be wary. But with the proper strategy, even small players can “run with the big boys”. There are two ways out of this—you could either scale up, or you could innovate. But unless you’re a billionaire tycoon, the former is out of the question. We’re now left with the challenge of how to add value to our products and services via innovation. Aside from capitalizing on the usual small player advantages (more personalized offerings, quicker customer service, easier quality control, etc. ), innovation is a viable tool. However, innovation can only get you so far, since even the most innovative products and services can easily be duplicated. Ever heard about the cronut? In this case, I’d advise you to invest more in brand reputation instead. I’m not saying that innovation is bad—it’s actually your most powerful tool! What I’m saying is that you should protect it by investing on something that can’t be copied as easily: a brand story. Think about it. People can make counterfeit iPhones, but they can’t copy Apple’s brand equity. There are practically hundreds of Chuck Taylor knockoffs, but they can’t copy Converse’s character. A good brand story will help create and maintain a following for your brand. It will even help influence what your market hears about your brand, regardless of what is being said. It's how brands, regardless of size, can thrive in a world with many alternatives and competitors. Look inwards and identify your brand’s core values. Think of how you want your brand to be perceived, and set everything in that direction—from the way you present your products, to the way you behave online, and even in your choice of partners. Everything you do must all paint your business in your chosen light. There are many more factors to protecting against commoditization. But once your message is set into the public’s consciousness, you’re already insulated by a certain degree.